Can it be true? 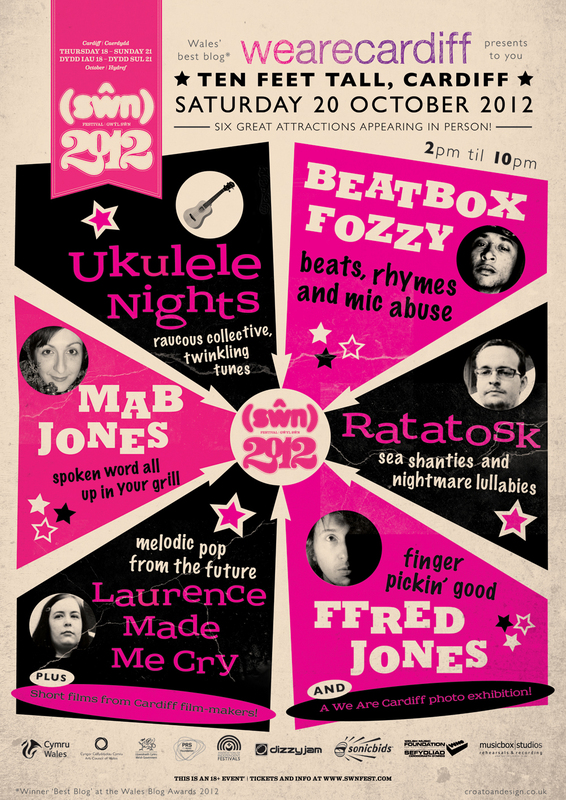 Yes – that’s right – we’ve only gone and got ourselves a stage at this year’s Sŵn Festival! Sŵn is a multi-venue musical takeover that happens in Cardiff over four days every October. It’s always an absolute riot, and we’re chuffed to bits to be curating a stage this year. As We Are Cardiff is a community project, all our performers are Cardiff talent. We’ve got music, beatboxing, some spoken words, plus a series of short films being shown between the acts. And some comedy, if we can fit it in. AND a special We Are Cardiff photography exhibition, where photos and stories from the blog will be up on the walls for all to see! In the run up to the festival, we’ll be publishing profiles from each of our performers, plus more info on our stage nearer to the time. If you REALLY want to make sure you’re free, save yourself some time on Saturday afternoon between 3pm-10pm. We promise you’ll have a right old knees up!